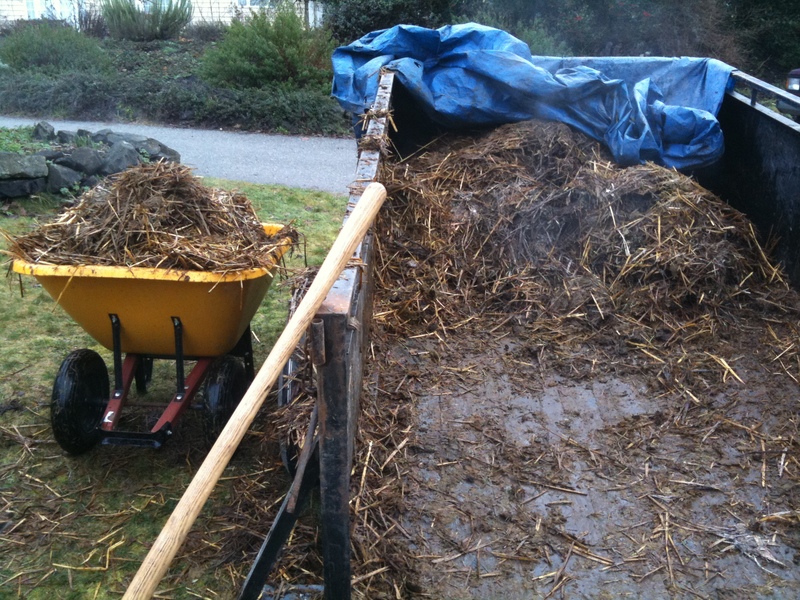 For the past several months, I’ve been getting almost weekly deliveries of free manure. Cow, goat, chicken, horse, even donkey. 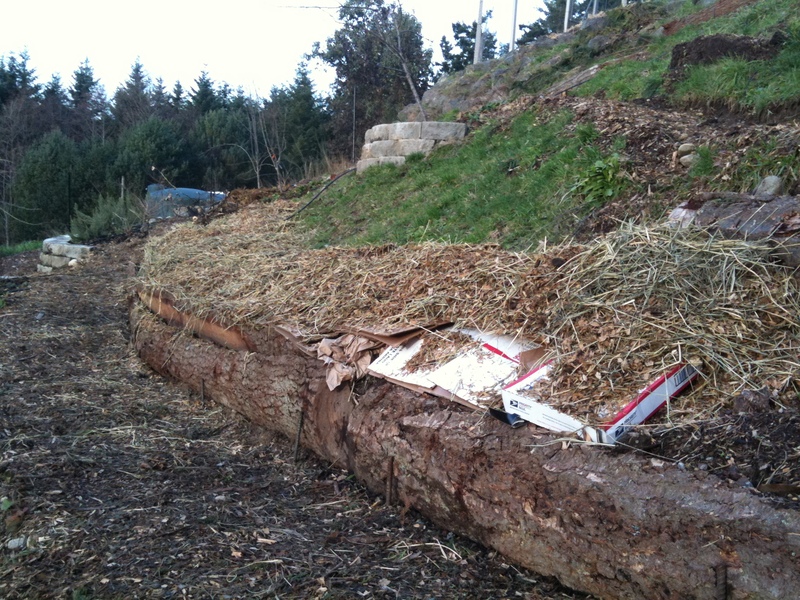 In the late fall, I began a sheet mulching project to prep two new areas for blueberries. Once I had my manure sources lined up for delivery, well, they just kept on delivering. So I let them. After the blueberry beds were full, I began using the incoming loads to build out new beds in the food forest, to be planted late spring. Is it working? Wow, is it ever. I actually put the new blueberry plants into the ground recently and could not believe how many worms there were as I prepped the holes. Holy smokes! This will be an annual project from now on as we build up our soil. Although we don’t have large animals ourselves (unless you count the security system), having friends with large animals is definitely a useful addition to the network.